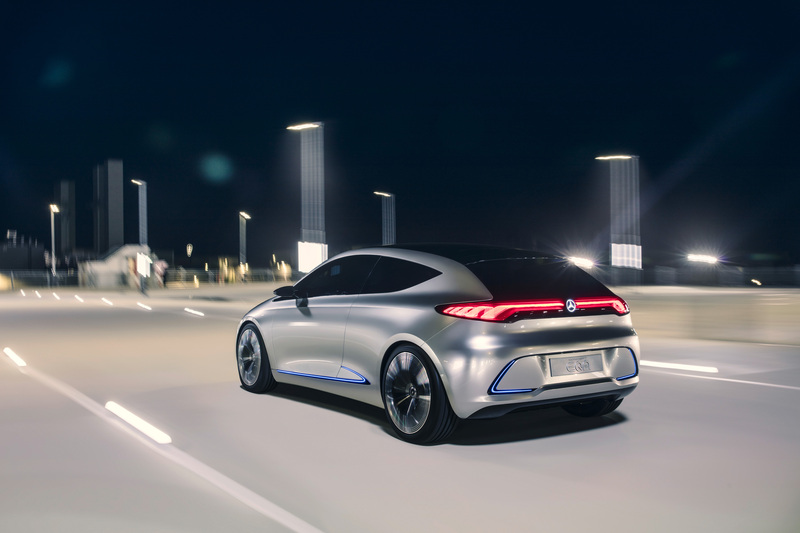 The 2017 Frankfurt Motor Show had action aplenty from the Three Germans and Mercedes-Benz had concepts and unveils across the spectrum. 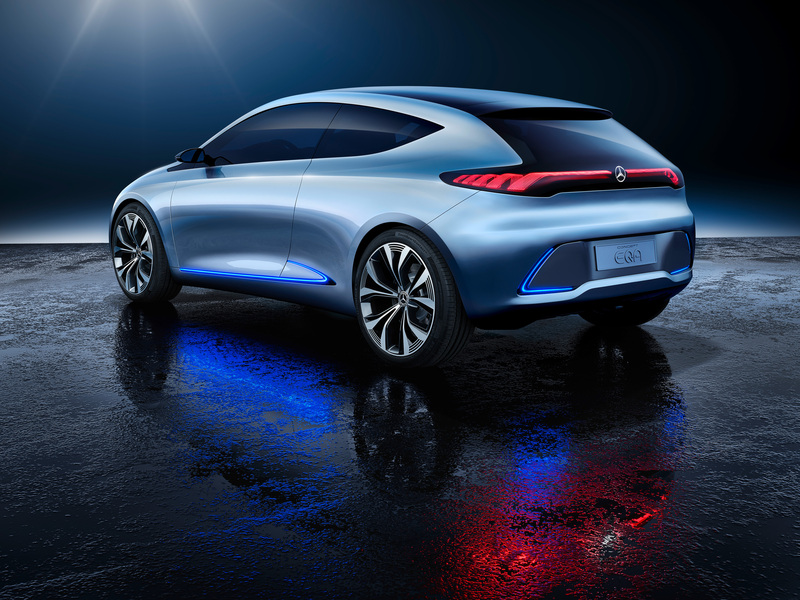 In between the Project One hypercar and the smart vision EQ fortwo, was a cool hatchback showcar by the name of the Concept EQA. 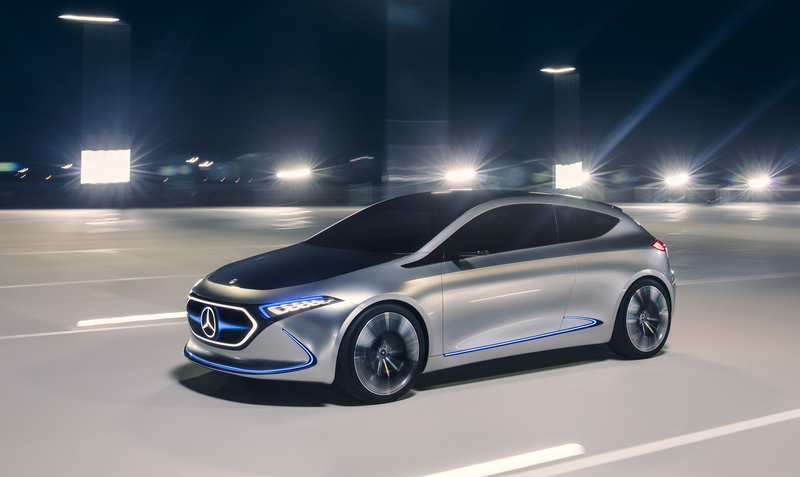 Building on their electric division first unveiled at the 2016 Paris Auto Show, Mercedes has expanded its line of EQ models. The first was based off the GLC Coupe and now there is one they have in mind for the compact segment. The Concept EQA continues with the current evolution of the Sensual Purity design idiom: as few sharp lines and edges as possible. Then there is the laser-fibre light technology, all across the front grille replacing the usual radiator grille, with those impressive headlights and the even cooler taillights. 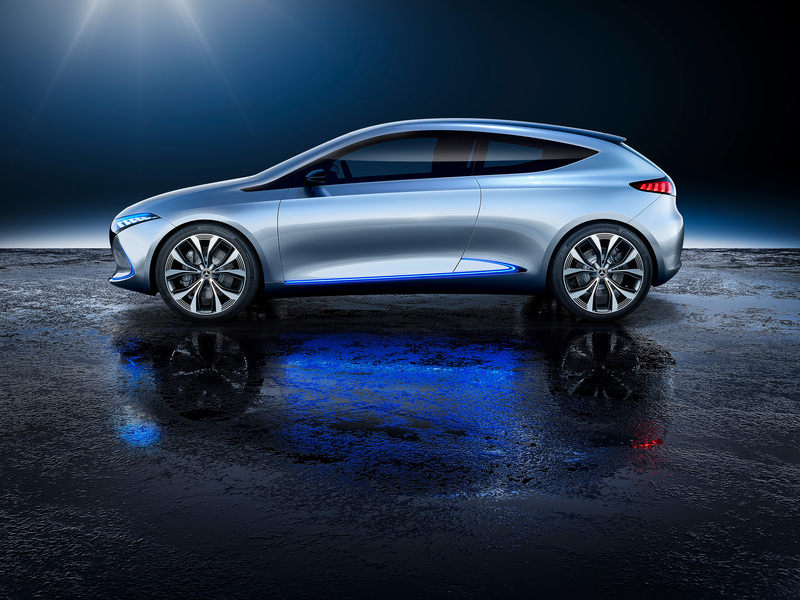 Powering it will be two electric motors for a combined output that can go up to 270bhp and 500Nm of torque. Yes, it’s variable thanks to scalable battery components. Meanwhile, the permanent all-wheel drive system with max output config should be enough to take this car from 0-100kph in less than 5 seconds. It’ll have two drive programs or modes, Sport and Sport Plus. Switch to the latter and the Concept EQA’s grille shows us its party trick: vertical struts in the style of a Panamericana radiator grille. 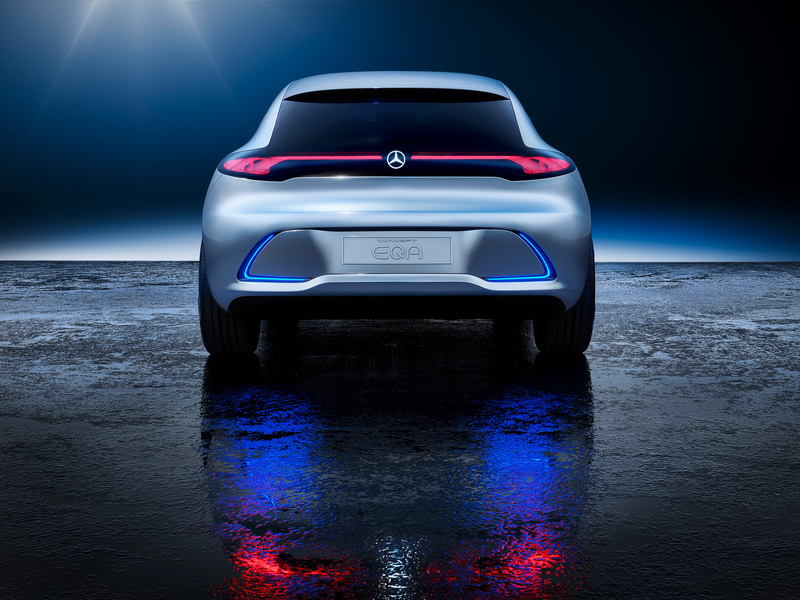 The production-spec is scheduled for 2020, with a claimed range of 400kms from a battery that will be compatible for all manners of charging – plug-in, induction and fast charging as well. 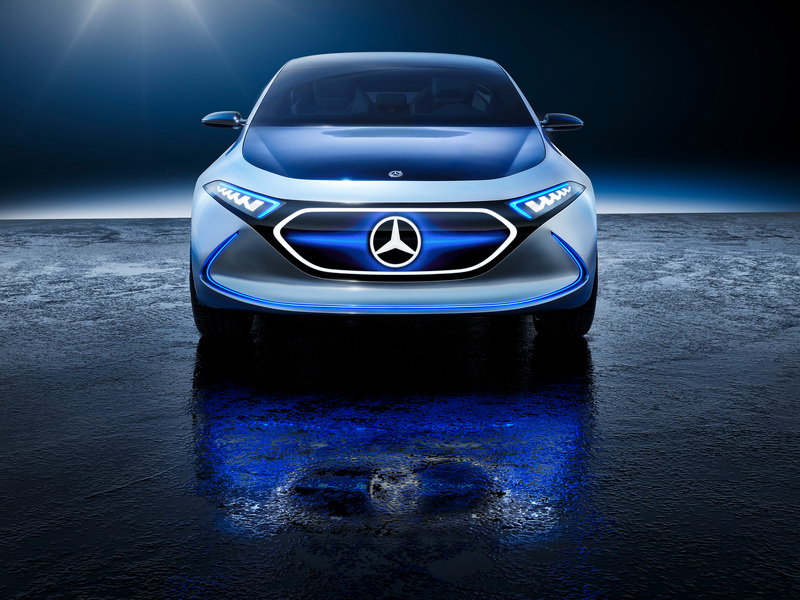 Mercedes-Benz is also investing in developing the infrastructure for a charger network to allow for long trips across Europe, as are others like the VW Group, BMW and Ford. Weltpremiere auf der IAA 2017 in Frankfurt – Mercedes-Benz präsentiert sein erstes voll-elektrisches EQ Konzeptfahrzeug im Kompaktsegment. 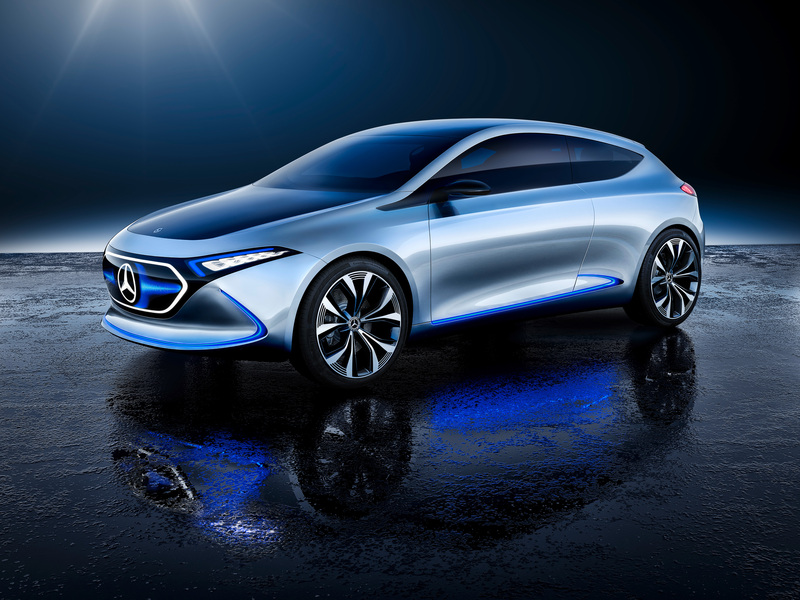 World première at the 2017 International Motor Show (IAA) in Frankfurt – Mercedes-Benz presents the first, fully electric EQ concept vehicle in the compact car segment.